I'll tell you what, this was horrifyingly time consuming. The letters are freaking tiny and I needed them to look a certain way to match the font that Kruger uses. The base was easy -- I used a square nail art brush to paint on some brushy marks in the style of the Nailasaurus streaky watercolor nail art. Then I freehanded the red rectangles and text, which took me a good hour and a half to two hours. 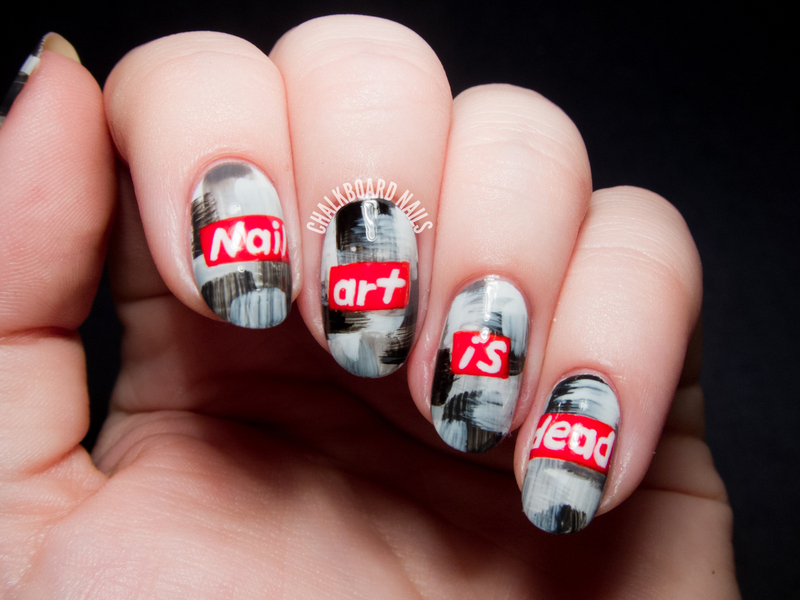 I was constantly refining the shape of the letters and had to re-do one of the nails once. Still, I think it is a huge success! Except now I'm blind from the tininess of the letters. This is so great...you put so much thought into your manicures!!! Totally worth all the work and blindness, these are awesome! Wow! I like this mani! It's wonderful! 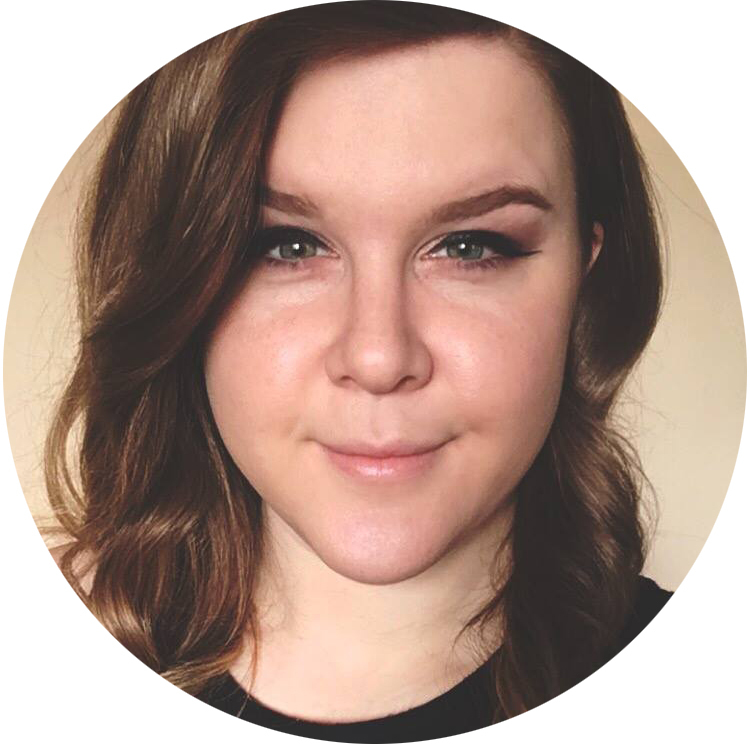 I see this being said from time to time and I always think well, I'm still doing nail art... thousands of other bloggers are still doing nail art... people are still looking at our blogs (maybe not that many people in my case, but a lot of people over all) so clearly it is not dead! 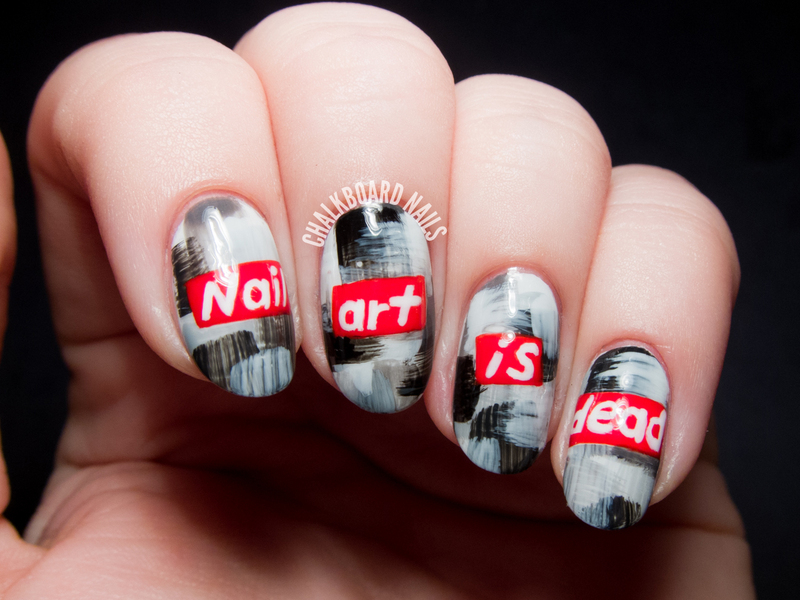 PS I love this nail art! 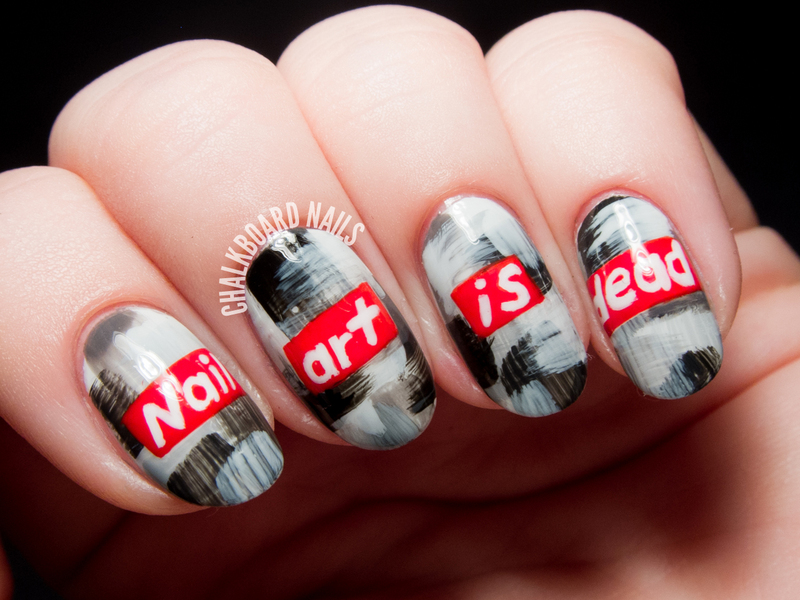 You should recreate these on fakes and sell them to a museum, because clearly nail art is REAL ART! I adore this so so much. what is on the thumb nail? Just more of the brushy grey base.